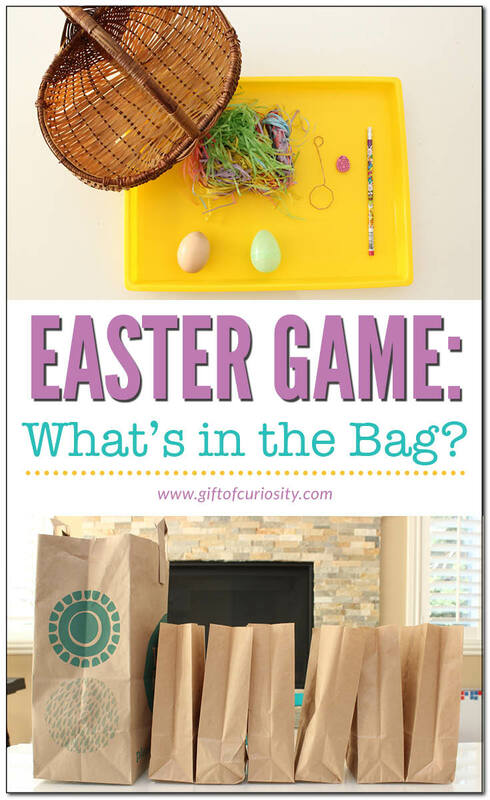 Easter game: What’s in the bag? Over the last few years, my What’s in the Bag? Christmas game has been one of my most popular posts. This year for Easter, I decided to play a similar game with my kids. 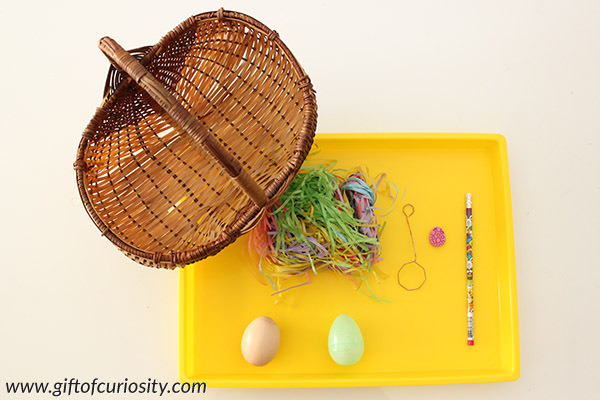 I gathered some Easter-related items from around the house and then we enjoyed a fun little What’s in the Bag? game together. 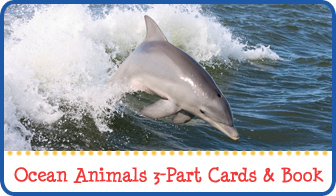 Note: For more Easter fun, see my Easter activities for Kids page. 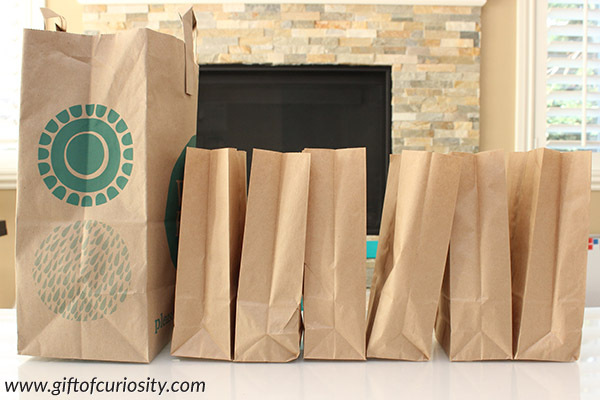 Once you have your Easter items, you will need to gather paper bags (or other opaque containers) to put the items in. 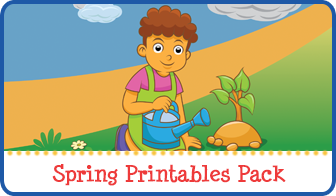 It is important that your children are not be able to see the items inside the bags. Place one Easter item inside each bag. Note: For younger children, I would suggest displaying the items and discussing what each is called before putting the items into the bags. For older kids, you can make this game more challenging by simply hiding the objects in bags before the kids have had a chance to see them. Blindfold your kids. 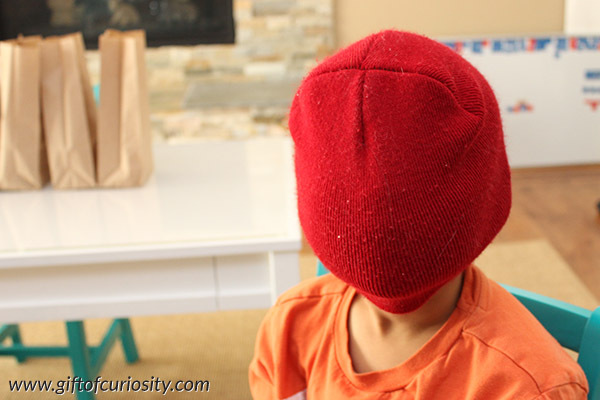 Mine like to wear their hats over their faces, which I must say works pretty well for keeping them blindfolded! Hand your child one bag at a time. Have him or her reach a hand inside and pull out the object. 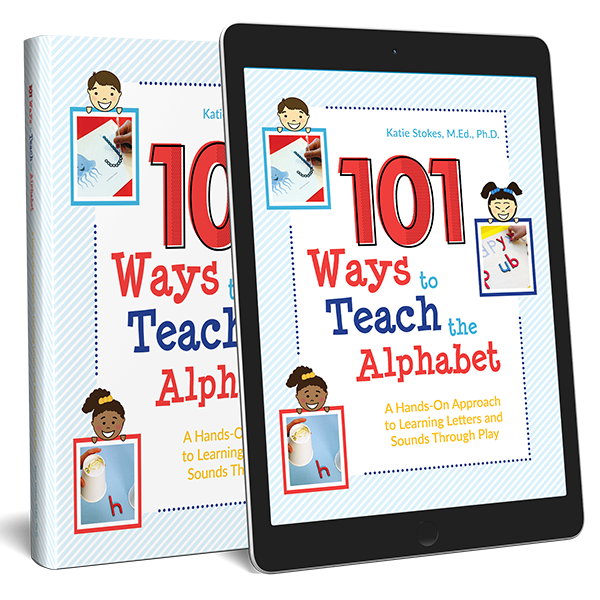 The goal is for your children to guess what the object is without using their eyes. Encourage your children to use their sense of touch, of course. 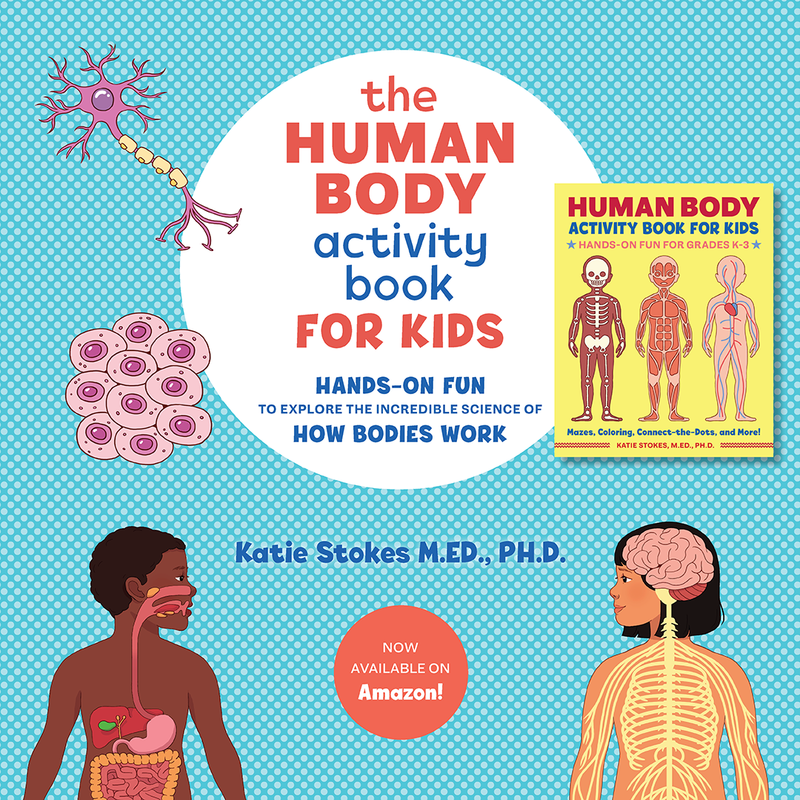 But if applicable, encourage your child to use their other senses as well. For example, if you include a chocolate Easter bunny you will want your child to smell the bunny to determine what material it is made of. Or if you put something inside the a plastic Easter egg, encourage them to use their sense of hearing to determine what might be inside. 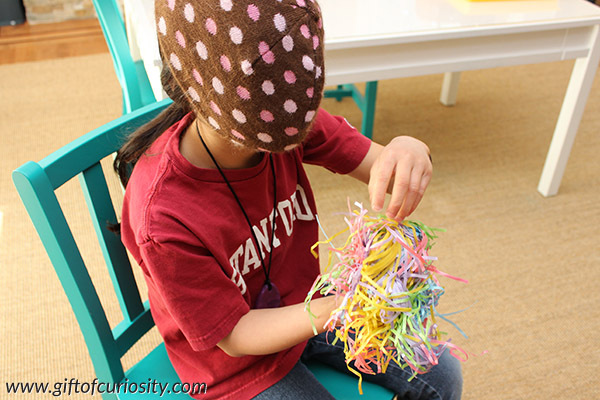 Once your child guesses the object, let him or her take off the blindfold and see what object he or she is holding. 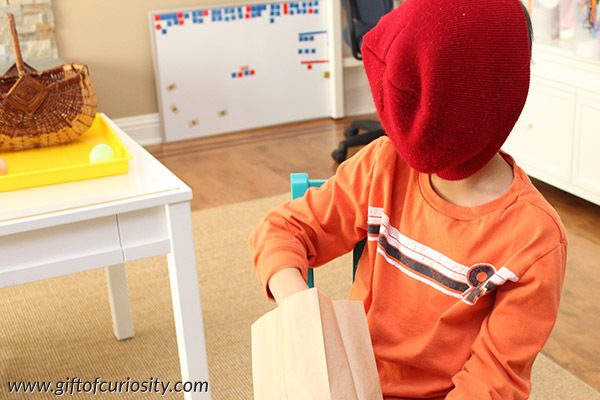 After playing a round, put the objects back in the bag so the kids can blindfold you to play again! For more Easter activities and printables your kids will love, see my Easter Activities for Kids page and my Easter Pinterest board. 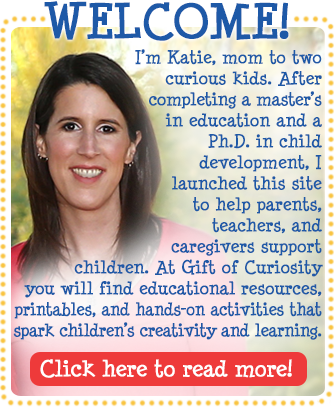 Follow Katie @ Gift of Curiosity’s board Easter on Pinterest.